The AAA SCBA Soft Carrying Bag is Large enough to carry any Scott Air-Pak or other brand SCBA with room for a mask and two small waterproof nylon pouches on the inside for accessories. This bag is great for officers to carry their SCBA in their vehicle, firefighters going to training classes, or any other situation where the SCBA needs to be independent and portable. 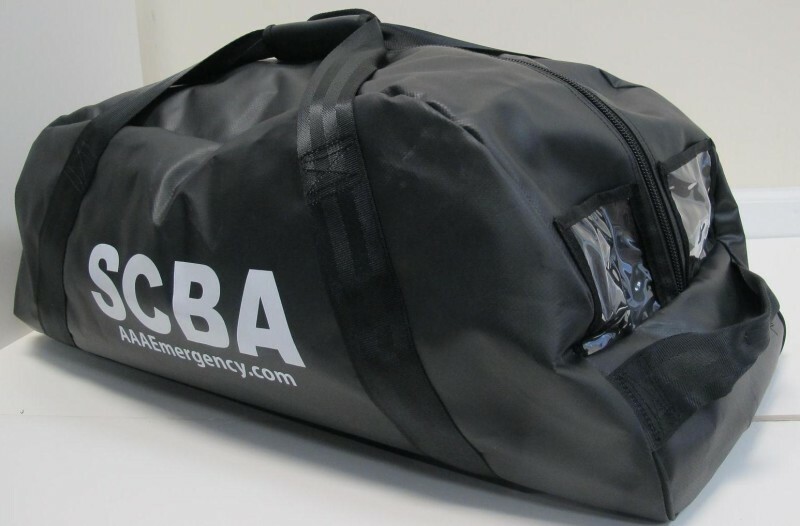 Made of waterproof nylon that keeps the SCBA clean and dry in any environment and Reinforced at the bottom with vinyl this bag provides a durable and effective solution to SCBA transport and storage. In addition, the bag offers reinforced nylon carrying straps and a heavy duty zipper. 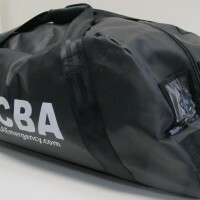 The AAA SCBA Carrying Bag is specially made for AAA Emergency and is available through in store or on our Online Store.